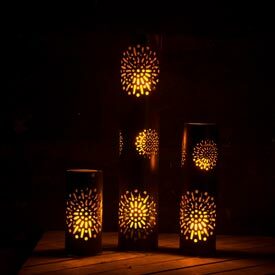 Starburst Hurricane Candle Holders cast pretty patterns when lit up inside. 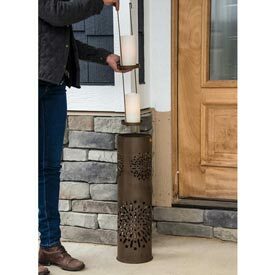 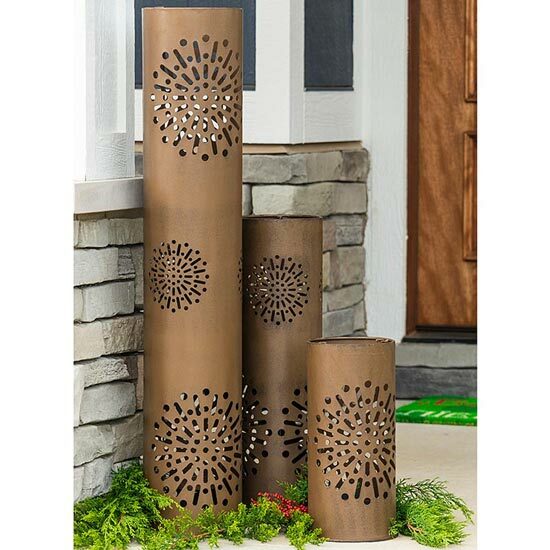 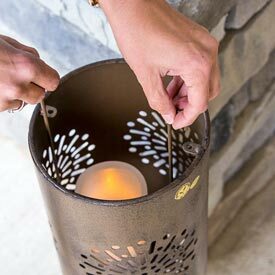 Designed to hold up to six traditional or battery-operated pillar candles (not included), this trio of painted metal hurricanes have a rustic look that's equally appealing out on the porch or up on the hearth. 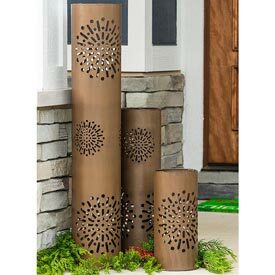 At night they look great glowing, but are impressive daytime décor even without any candles inside. 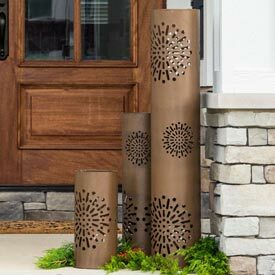 A little creative styling with greenery or flowers turns these all-purpose pieces into an ever-changing, seasonal display.